 Removable pillow sham Pillow Sham is 100% polyester and machine washable Pillow insert is a s..
American Pride Welcome Doormat – PersonalizedOrder in time for the Fourth of July! ..
Share a drink with your special someone using this romantic couples mason jar. Engraved with any ..
Tote bag is personalized with any two initials. Bag is available on our premium 100% cott.. This coaster set makes a great gift for any couple in love. Free personalization of any two initials.. Display your love for one another right in your home with this throw pillow personalized with .. Wear this personalized tank top to show the love you have for your special someone. Free personaliza..
Bamboo Board measures 9” x 7” x ½”. ..
Personalized Cutting BoardMade of sturdy bamboo with cut out handle. Due to the nature of bam..
Bamboo Personalized Cutting Board Small Bamboo Cutting Board Details:Made of sturdy .. This beautiful Bistro Tray is made in America from a used Whiskey barrel with wrought iron ha.. 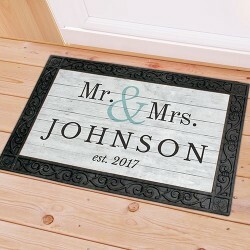 Create a personalized bless this home square canvas, in choice of 3 sizes, for a perfect weddi..
Family Engraved Wine Bottle StopperAcrylic wine bottle stopper Measures approximately 4 3/4.. Serve in style with this personalized serving board Handmade from white oak Forged wrough..
Personalized Picture Frame measures 8" x 10" and holds a 3.5" x 5" or 4" x 6" photo. Easel back allo.. Blanket Details:Topside of blanket is made of soft polyester fleece Underside of blanket is.. Custom Laser inscribed handcrafted American White Oak barrel with design. Barrels have a medi..
Personalized Chef ApronApron is a full length, 65/35 cotton/polyester twill fabric apron with.. The uniquely sophisticated Corsica wine and cheese basket is perfect for picnics, concerts, or trave..
Personalized Welcome To Our Home Doormat Personalized Floor Mats Choose between two gre..